Dual partial walls in the shower door entrance define a great style! Just look at the way the door swings inwards and outwards, either into or away from the shower, it's amazing. 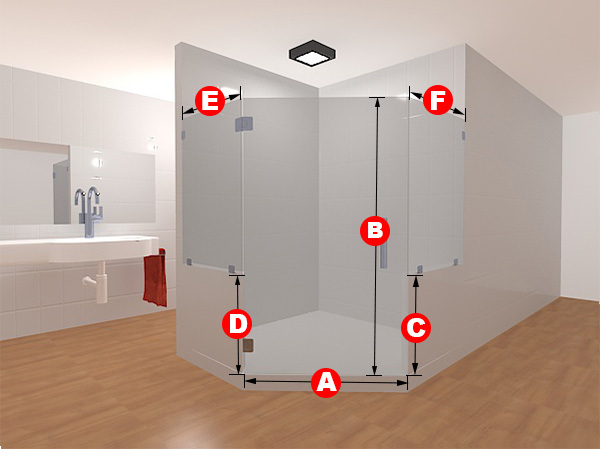 This frameless shower door set is really for you and your bathroom! It can be made in either clear or frosted glass and can fit the dimensions that you specify, just for your needs. Dual partial walls in the shower door entrance define a great style! Just look at the way the door swings inwards and outwards, either into or away from the shower, it’s amazing. 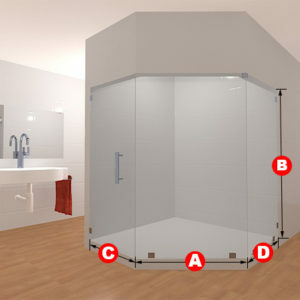 This frameless shower door set is really for you and your bathroom! 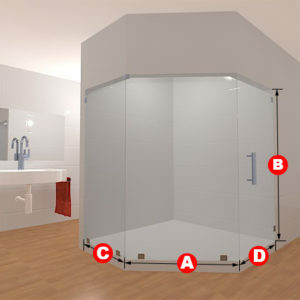 It can be made in either clear or frosted glass and can fit the dimensions that you specify, just for your needs.